You’ve finally come to the end of the long and drawn out litigation process, and it’s time to settle your claim once and for all. The way that most cases are ended is not with a jury or a judge, but with a settlement agreement. Although it sounds simple, it’s usually not. A settlement agreement is a critical and powerful piece of your case. When should you use a settlement and release agreement? The defendant wants to settle outside of the courtroom. The plaintiff in a lawsuit wants to state the terms in which he or she would settle out of court and end the lawsuit. What should be included in a settlement and release agreement? A statement describing in detail what the plaintiff is getting in exchange for ending the lawsuit or claim. A release is typically only valid if the plaintiff or person filing the claim is receiving something in return for ending the dispute or giving up the right to file a lawsuit. Usually, the “something” is money, and if so, you should state the amount of money. If it is not money, state what it is. A sentence explaining that the release will end all current and any future litigation that could arise from this claim. Otherwise, what’s the point? A clause that binds all people who might want to file a claim (like the plaintiff’s spouse or daughter) to the settlement, thus giving up their rights to file a lawsuit as well. The date when the release is signed by both parties. The signatures of all parties involved. This would seem obvious, but it’s important. Technically, only the person who’s releasing the lawsuit needs to sign it, but it’s a better move for all parties involved to sign the document. Have witnesses present when the agreement is signed. That’s not mandatory, but if you believe the person could come back and later say that he or she never signed the document, then it’s a smart idea to bring a witness or two with you when you are signing the document. Depending on the nature of your claim, a judge or another officer of the court might have to sign off on the settlement agreement. This is why it’s so important to hire an experienced attorney to handle your case from start to finish. 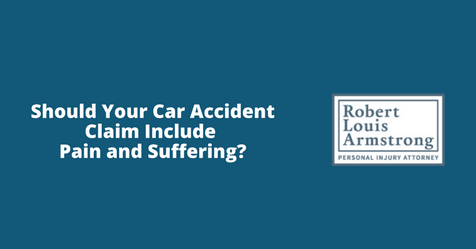 Contact Robert Armstrong’s office today for help.